Cloudy skies returned on Monday, 8 April 2019. Due to clouds and strong winds Tuesday evening, 9 April, I missed out on a possible occultation of the bright star Bellatrix in Orion by the International Space Station, as seen from my observatory. 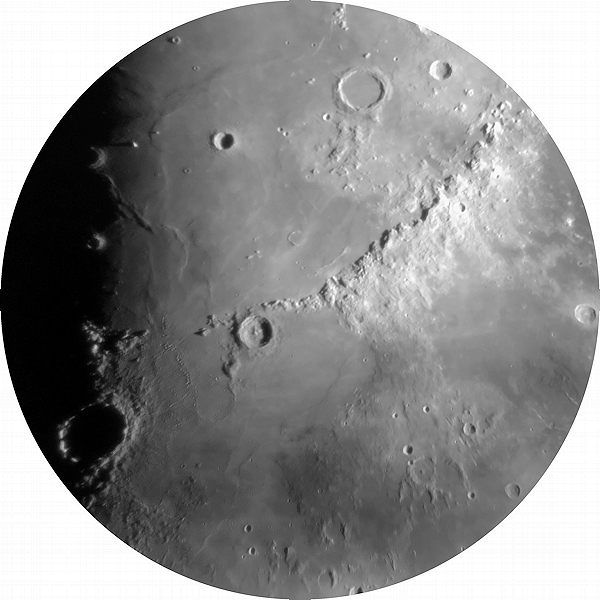 Wednesday, 10 April, was clear but with a very dusty sky from very strong winds. Did not open the observatory that night. Cloudy nights returned on Thursday, 11 April, and continued until Saturday, 13 April. After opening the observatory dome I SYNCed the observatory clock to WWV time signals. 1835 MST: Dome OFF (onto PZT). 1839 MST: LX600 ON, StarLock OFF, High Precision OFF. 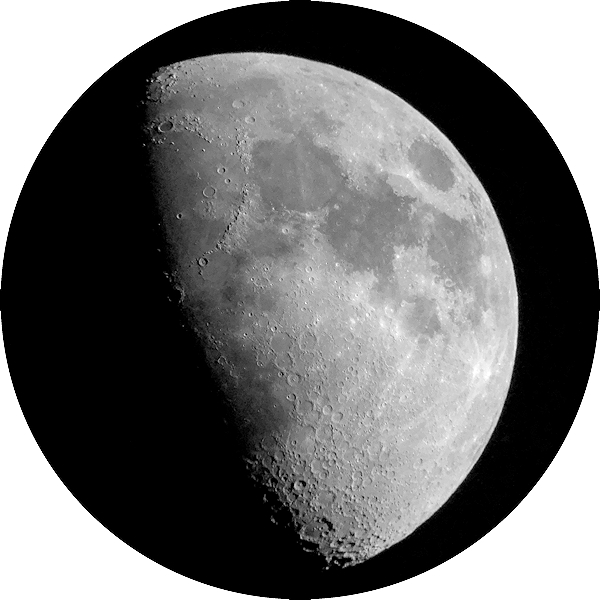 Viewed the Moon, 102X, 81X, and 325X. There were some really nice views, especially at 325X. Removed the iPhone and Phone Skope. 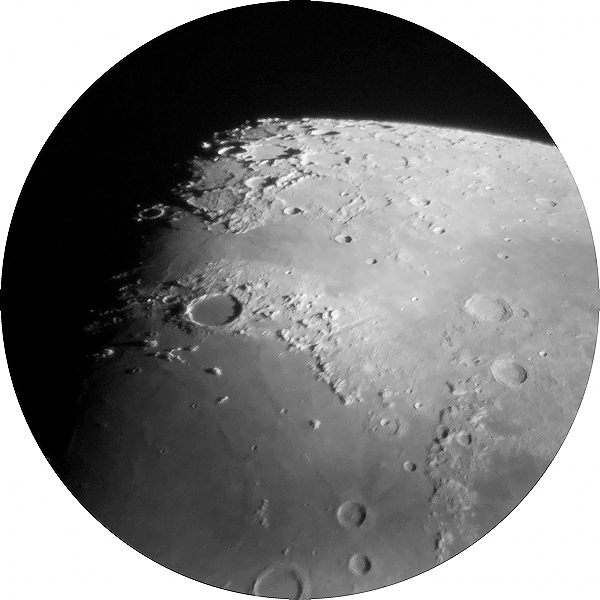 Did some more lunar observing, 325X. I switched to the William Optics Binoviewers and did some lunar observing, 122X. The views were gorgeous. 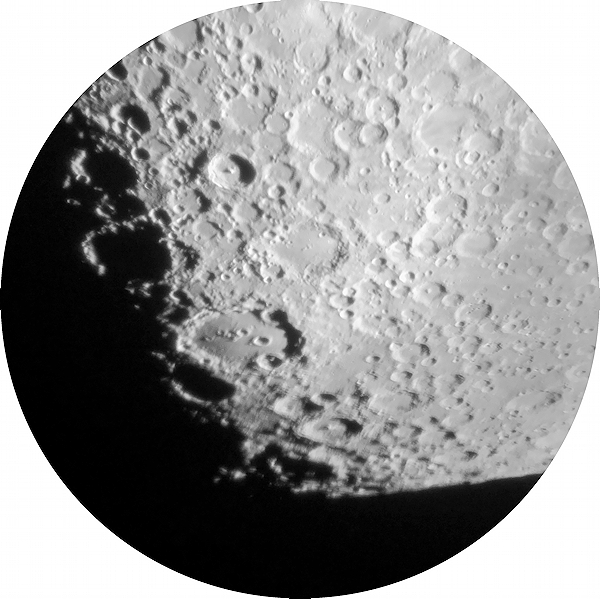 1928 MST: last look at the Moon, 102X. 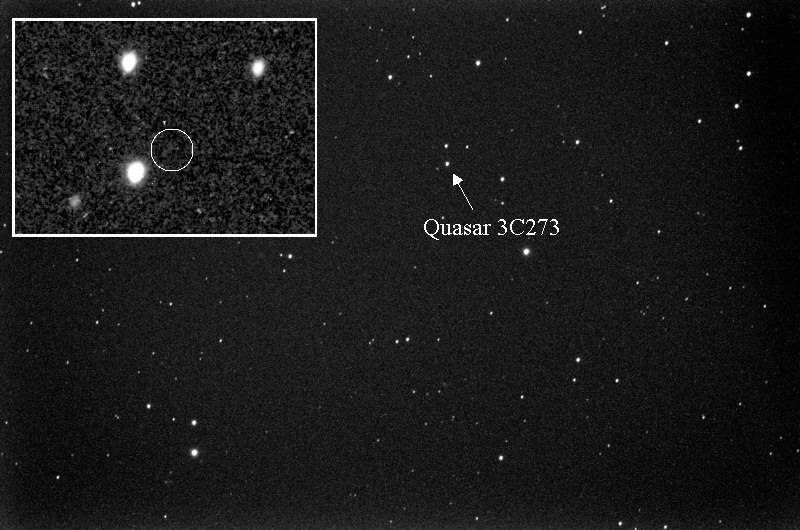 The Twin Quasar is the most distant object I have photographed from Cassiopeia Obeservatory. 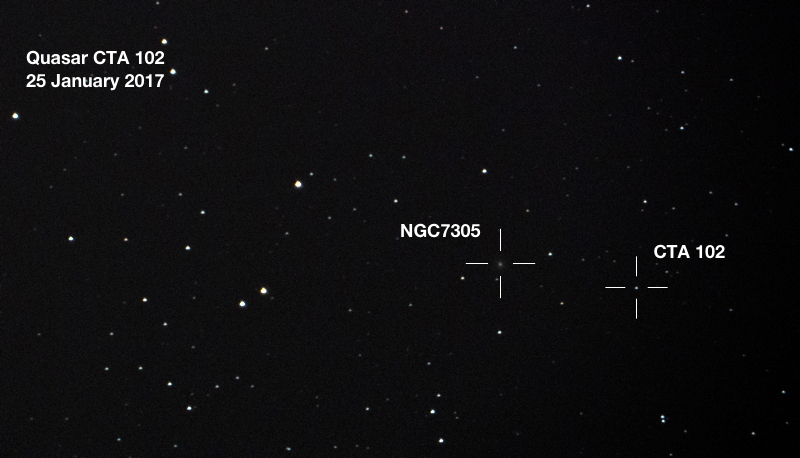 The image of 3C273 was captured with a 8" LX200-ACF telescope and D7200 DSLR. The image of CTA 102 was captured with the 12" LX600 telescope and D7200 DSLR. 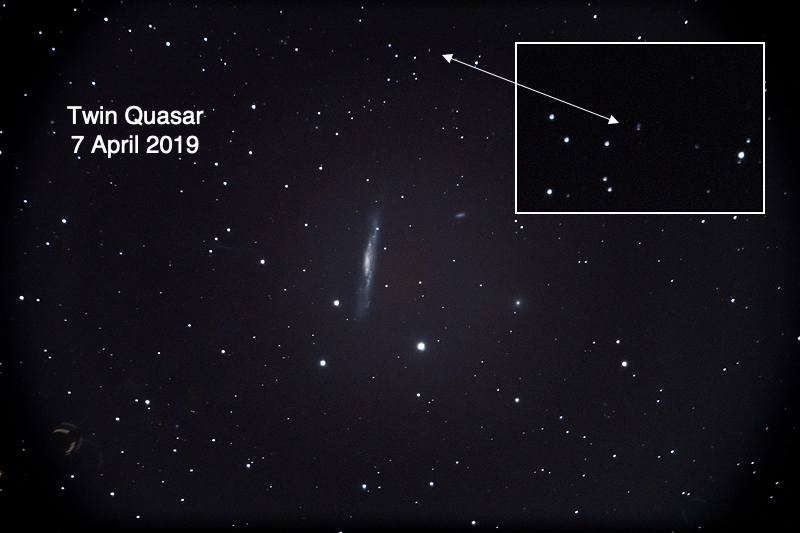 The Twin Quasar were captured with the 12" LX600 and D850 DSLR. I plan to re-image 3C273 and CTA 102 with the 12" LX600 and D850 DSLR.